Aubrey is a native of South Carolina who began playing cello when she was 9 years old. 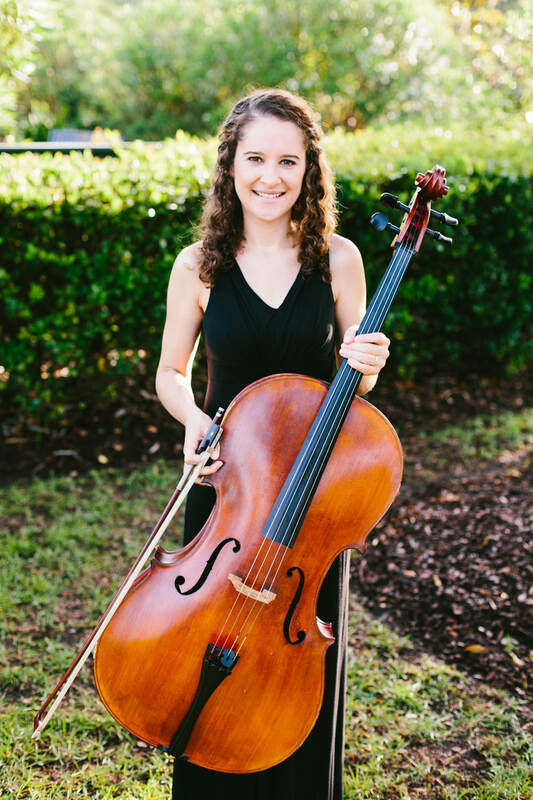 Aubrey is currently on faculty at Ashley Hall, a girl’s college preparatory school, where she teaches lower school strings and private cello lessons (Suzuki and Traditional). In addition to teaching and freelancing, she plays part time with the Charleston Symphony Orchestra and the North Charleston POPS! Orchestra. She earned a Masters of Music in Suzuki cello pedagogy from the University of Denver, where she served as the Graduate Assistant to the professor of cello and received the 2010 Graduate Recital of Distinction Award. She has Bachelor of Music in Cello Performance from the University of South Carolina. Abroad, Aubrey has studied and performed at InterHarmony International Music Festival in Germany, performed in concert tour in Spoleto, Italy and the surrounding region, played alongside the Concordia International School’s orchestra in Shanghai, China and performed drums in a drum ensemble for a city wide festival in Sao Paulo, Brazil. Within the US, Aubrey has performed throughout Colorado and the Southeast as a professional musician and has spent summers studying and performing in festivals in Vermont, California, and North Carolina. She has recently also performed locally in Charleston’s Piccolo Spoleto Festival and Ashley Hall’s guest artist chamber music concert series. In her free time, Aubrey enjoys traveling, studying other languages, and exploring the outdoors!